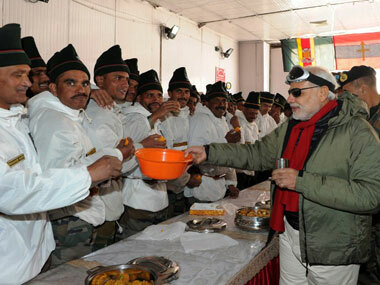 Narendra Modi spent first Diwali as PM with Army in freezing Siachen. “No one has got the opportunity of guarding their motherland in these conditions. As a pradhan sevak, I have been able to see the conditions faced by you with my own eyes, experience it. The doctors accompanying us were keeping tabs on me…checking my BP and oxygen. 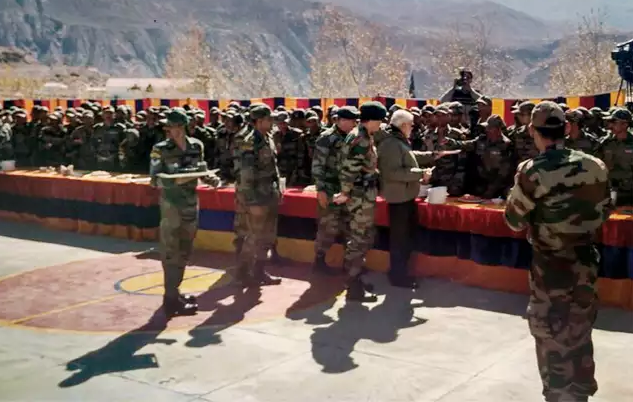 This shows how precarious are the conditions you live in,” the Prime Minister told soldiers at the 12,000ft base camp of the glacier, the world’s highest battlefield. 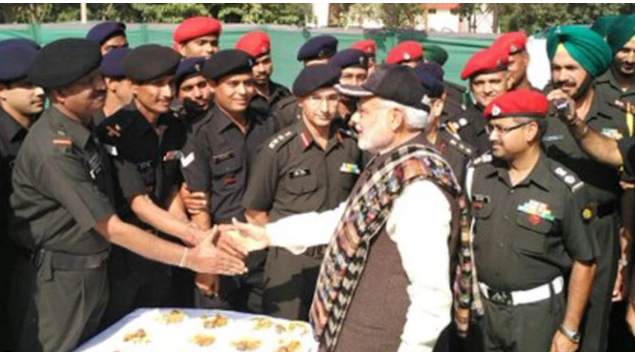 For the second successive year, Prime Minister Narendra Modi celebrated Diwali with troops. He visited the Dograi War Memorial in Khasa in Amritsar and placed wreath at the venue of one of the toughest battles fought and won by Indian forces on September 22, 1965. 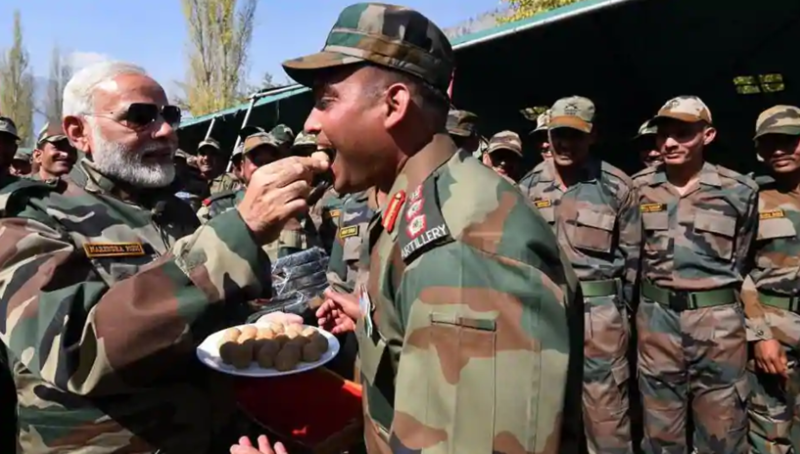 Prime Minister Narendra Modi celebrated Diwali in 2016 with soldiers in a remote and strategic area in Himachal Pradesh, adjoining the Chinese border. PM Narendra Modi marked Diwali 2017 by visiting the Gurez sector near the Line of Control in Jammu and Kashmir. 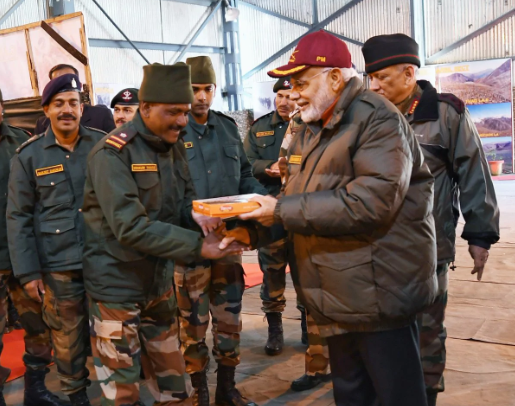 In what has become a tradition of sorts, PM Modi spent the Diwali greet troops of the Indian Army and the Border Security Force, distributing sweets and gifts to the jawans and officers whom he called “his family”.